Travelling from Busan to Seoul on a train gives ample time to think about the question many of you have asked – Is it worthwhile to invest in FCNR deposits? Instead of looking at purely FCNR deposits I decided to do a comparison between FCNR deposits and the good old NRE deposit. The analysis did become a little tricky as the SGD FCNR deposits have ridiculously low-interest rates and there is no SGD INR forward cover that is readily available in the market and I had to use USD for comparisons. First of all, lets look at the NRE and FCNR deposit rates on offer in the market for a one year period. Using the best available rates for both NRE Fixed deposit and FCNR deposits we have the below payoff for a one year maturity and expected USD INR rates. This is probably the worst of all the options. The best possible rate for USD deposits in Singapore is 2% and banks charge anywhere between 0.5% to 0.7% to convert SGD to USD and back from USD to SGD. Though one would often see the advert say that there are no charges but the cost is built-in the exchange rate. With the cost of converting money the yield turns out to be mere 0.5%. So unless you are expecting a massive Singapore dollar weakness against the USD this option is best avoided. 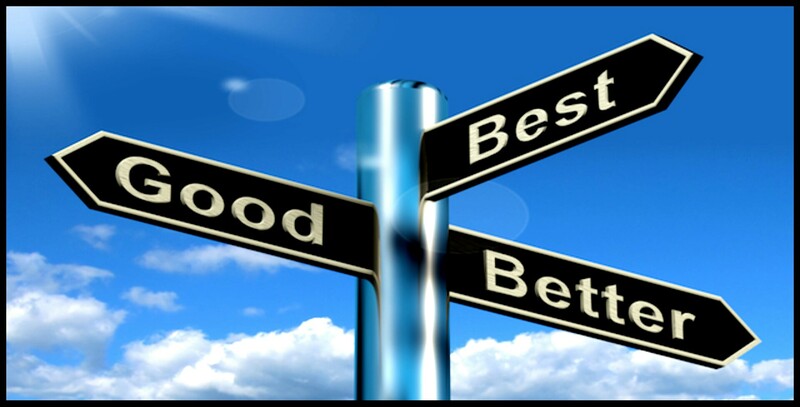 It is better to keep your money in BOC Smart saver account for better yields. The costs involved here are 0.7% to convert SGD to USD, cable charges of atleast 30S$ to transfer money to FCNR account, cost of a forward cover in terms of margin money and brokerage and finally the cost of converting USD back to INR or to SGD and remitting back to Singapore. With all the associated costs, this option would work if you expect the INR to strengthen back and want to lock the exchange rate at current forward rate of 75. Here the interest on FCNR deposit is tax free but the gains or losses on the forward cover will attract taxes and on the pay off matrix it is not a great option. The cost here is simply one time money of 0.5% to transfer money to NRE account and cost to transfer money back if one so desires. This option gives the stable returns without any complicated transaction setup. The costs here, as in option 2 above, are 0.7% to convert SGD to USD, cable charges of $30 to transfer money to FCNR account and the cost of converting USD back to INR or to SGD and remitting back to Singapore. Depending upon one’s outlook for USD INR this option can give good returns. If Usd INR crosses 76 over the next year then this option gives better returns than NRE FD but if INR strengthens then one might lose any gains made from interest income. So what is the recommendation? Given the increased uncertainty in global markets predicting the USD INR rate 1 year rate is nothing short of speculation. I personally do not think the USD INR will cross 77 or even if it crosses will stay at that level at the end of one year. To do the FCNR deposit for a very, very small gain over NRE deposit in the event USD INR crosses 76 does not look great from the risk reward perspective but if you really want to try then put half your money in NRE FD and the other half in USD FCNR deposits. After a long hiatus I finally got some time to make a post, thanks to the followers for the prompt and encouragement. SGD INR has been on a roll in the past 8 months and to be honest this move was long overdue. The Indian Rupee was grossly overvalued and just needed a trigger to correct. This time around the triage of rising oil prices, increasing fed rates & falling emerging market currencies led by Turkey and political environment turning less favourable for the ruling BJP led by Prime Minister Modi finally precipitated the Rupee. Rupee was 47.5 against the SGD and 63.65 against the USD on 1st Jan this year. Since the start of the year the Rupee has fallen 11.5% against the USD and 9% against the Singapore dollar and traded at 71 against the USD and 51.75 against the SGD yesterday. Looking at Year to Date (YTD) values one might think that the move is extreme and Indian economy must have worsened dramatically during the year but the fact is that the currencies were slowly adjusting to the dollars rise over the past 2 years and rupee was irrationally holding its ground. I have often mentioned in my previous posts that strength of currency and national pride should not be linked and currency should follow economic fundamentals and why such a simple concept evaded the current Indian government is beyond my comprehension. Delving a little deeper and looking at the currency movement from an academic angle and using the Interest rate parity, the Fed rates have moved up from 25 basis points to 200 basis points over the past 2 years. India increased its rates recently from 6% to 6.25%. The interest rate differential which used to be around 6% has now come down to 4%. One might say that should have resulted the rupee falling by only 2% (6% – 4%) but why the big fall? The answer is that rupee was fundamentally over valued. At the start of the year the REER (Real Effective Exchange Rate) index stood at 118 which simply means that the currency was 18% overvalued against a basket of currencies. The index currently is around the 110 mark. Which indicates that even after the correction the rupee remains overvalued. Now does that mean that rupee could fall another 10% against the US dollar? The answer is, theoretically yes! but will it happen in real, I don’t think so. How does the rest of the year look like against USD? The Fed is on a war path to increase interest rates and I expect at-least 2 more hikes over next 9 months before they take a breather. Oil prices have stuck around the US$75 mark and the expectation is for the oil demand to boost prices to US$80 to 85 a barrel range. The shock would have been severe had the world not been investing in alternative sources of energy. 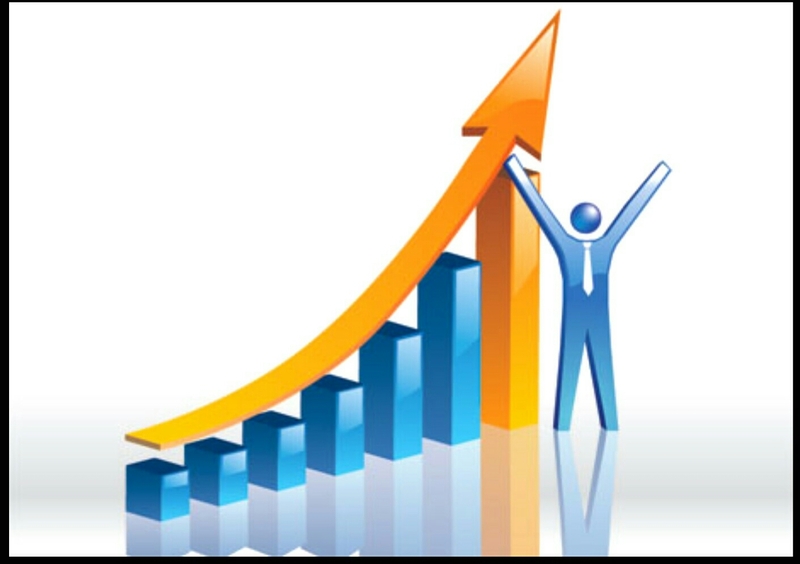 The US economy has been doing exceptionally well and the unemployment is at an all time low, EU has also started to improve with lower unemployment. After effects of BREXIT are still a concern and the ongoing trade war between US and the rest of the world doesn’t look to stop any time soon. I think that the USD INR has a little more room to drop and will stabilise around the 72-74 range, another 2 to 4% decline from current levels. RBI has been smart to not defend the rupee unnecessarily and burn through the reserves learning from the actions of the other central banks and is in the market to just smoothen the rupee’s fall. However, better than expected GDP figures published on 1 Sep should lend temporary support to the rupee. What does it mean for SGD INR? Singapore dollar has been less impacted by the strengthening USD and MAS has allowed the currency to strengthen to neutralise the increasing US interest rates. USD SGD has hovered around the 1.35-1.37 mark. If the fundamentals in the market deteriorate dramatically, USD SGD could touch 1.40, however if the oil prices increase and the inflation, specially housing prices don’t cool down the currency could strengthen to 1.30. The SGD INR range that I see for the rest of the year would be between 50 to 54, with a bias to stabilise around the 52.5 mark. India has elections due next year and this currency weakness would be welcome by the ruling party, which has a large support amongst the overseas Indian community to have foreign donations resulting in bigger rupee conversions. This is not very different to what happened in 2014 when the rupee had depreciated to 53 against the SGD in Aug of 2013 and then slowly recovered as elections approached in 2014. I am pretty confident that the trend will be repeated this time around. Finally, coming to the crucial question of will rupee touch 55? I don’t think so. Should you convert now and remit to India or wait? this is dependant on individual circumstances though I personally like to keep funds invested in Singapore. It’s a very interesting phenomenon every time SGD INR falls – people panic and there is a flurry of questions on SGD INR’s future. To me this anxiety is similar to a house owner checking on the market rate of the house they live, every week, and feeling sad if the latest transacted price in the neighborhood went down or celebrating if it goes up. In reality, this is just perceived loss/profit and is irrelevant unless the person is trading in properties and regularly buys and sells them for a living. Anyway, leaving perceptions aside, lets look at how Indian Rupee has really performed against major currencies in the past 3 years before I turn my focus to SGD INR. The Rupee has fallen against USD and JPY, against Chinese Yuan and Singapore Dollar its a flatline and the gains against EUR and GBP are not because Rupee has fundamental strength against them but because the 2 currencies have weakened due to their own issue – ECB monetary stimulus and Brexit vote respectively. There is no doubt that the Rupee has been pretty stable in the past few months and the RBI has done a fantastic job of curbing the volatility in the face of BREXIT, expected US fed rate rise, Increasing Oil Prices,Redemption of FCNR deposits and escalating tensions with Pakistan. But have the rupee or economic fundamentals changed to much in past few months? -I don’t think so. India still imports 80% of its crude oil and as oil prices go up they would put a strain on the current account, the goods manufactured in China are still way competitive both in terms of cost and quality (maybe that’s why rupee is following the Yuan trajectory) and the NPA situation with Indian banks is still worrisome and could result in market turmoil. Investing in NRE FD’s has generated stable returns depending on when one invested, refer – (https://adityaladia.com/2016/02/11/you-would-be-out-of-money-80-of-days-if-you-transferred-money-to-india-in-2015/) and would slowly stop being an attractive avenue as the interest rates in India go down. Now coming to SGD INR, the current weakness is mostly due to flurry of bad news (or expectation management as I call it) on the economic and employment front. I have always maintained that the MAS is pro-active and lets the SGD adjust quicker to the market events as compared to what RBI allows or can allow with the INR. All the expected or known negatives are already priced into Singapore Dollar and any other movement would be due to fed rate decisions. Even after the news of GDP missing estimates the SGD only fell around 1% which is very normal in the current volatile markets. On the other hand there are a lots of factors for the Indian Rupee that needs to be priced in – merger of banks due to NPA’s, challenges for exports due to relatively strong rupee – China and other ASEAN countries, increase in crude oil prices, looming fed rate increase and of-course any escalation on the international borders with Pakistan. As with the answer to keeping money in Singapore Dollar or remitting to India, the response is unique to every individual depending on their investment portfolio, diversification, cash flows and risk appetite. 48 would act as a very strong support and do factor in the cost of transferring money into India and remitting back, the cost of loan (if you are taking one) and tax obligations if you invest in property or stock markets when making any such decisions and don’t get stuck on specific numbers – transferring money at 49.80 is just as good as transferring at 50. Yes, you read it right! Tax free bonds are better than NRE Fixed deposits. After all these years of recommending NRE FD’s as the safest bet for investing in India, I am changing my recommendation to Tax free bonds (in no particular order) by IREDA, NHAI, NABARD, REC and HUDCO. 1. NRE Fixed usually give the highest rate for a lock in of 2 or 3 years and are averaging between 7.8% to 8.2%, which means that the reinvestment on maturity would be at the prevailing interests rates. A Tax free bond on the other hand is giving a 7.64% for a period of 15 years (NABARD which opens tomorrow – 9th Mar 2016) in retail category (less than 10 lacs) or half a percent lesser for amounts exceeding 10 lacs. You must be wondering why am I recommending the bonds when they give lesser interest and are tax free like the NRE FD? The Central Bank interest rates across the world are going down and India has already had a few rate cuts which makes these Bonds attractive. As the interest rates will be reduced the value of these bonds will increase (capital appreciation) . These bonds are more liquid than a FD as they are traded on the stock exchanges which means that one can sell the bond without incurring pre mature withdrawal penalty in case of FD. Further for a slightly lesser interest rate these bonds let you lock in a higher interest rate for next 15 years. If this has not convinced you then let me tell you the most important reason why I am recommending these bonds – interest on NRE FD’s becomes taxable if a NRI returns to India. Depending on the individual residency criteria in section 6 of the Income Tax of India on return a NRI becomes a Tax Resident in 6 months to 2 years, upon which the NRE accounts are converted to a Resident Rupee Account, which means that any interest that accrues on your NRE account after you become tax resident becomes taxable. These bonds on the other hand assure tax free income for next 15 years from the date of allotment. Now the fine print – not all bonds are open to NRI’s for investment, however if you have a resident bank / brokerage account you could use that to apply for these bonds and / or purchase them from open market and benefit from capital gains and long term tax free interest income. The last few days of Chinese New year holidays allowed me to spend some time on SGD INR analysis. I always had a feeling that transferring money to Indian specially with a view to play on the interest rate differential would not have been beneficial in the last year and I had to test my feeling against some actual numbers. I took the average investable Tax Free NRE FD rate as 8% and cost of transferring money as 1%. The interest that someone could earn in Singapore was taken as average of 2% (DBS Multiplier, OCBC 360, UOB One or some money market funds) which brought the effective interest rate differential as 6% (8% – 2%). There might be a few of you who could have got slightly better NRE FD rates and also managed a better transfer rate, however in my observation banks or transfer services usually charge anywhere between 0.8% to 1.5% as remittance fee. This fee could be charged as a out right fee or built into the exchange rate that they offer you. Similarly I took the cost of transferring money back from India as 1% as well though people tell me it can be close to 2%. I have personally never transferred money from India so just went in with the 1% charge. The result of number crunching vindicated my gut feel – there were only 39 days in 2015 (around 11%) which provided a better return if someone transferred money to India, invested in NRE FD and transferred it back to Singapore as compared to keeping money in Singapore and starting to transfer to India once SGD INR crossed 47.50. Interestingly of those 39 days 12 were in Jan 2015 and remaining between 24th April to 22 May and few in mid June. 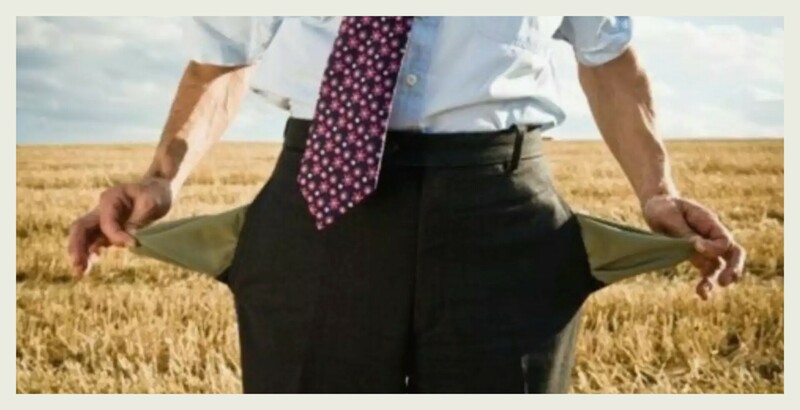 The number of days went up to 62 (around 20%) if the person decided to leave money in India instead of bringing it back but the period of transfer remained in first half of the year. Anyone who panicked and transferred money since July would be “out of money” based on today’s DBS remittance rate of 48.50 (Market rate around 48.90). Of-course the rates can and will change in the coming days and a few more days of 2015 might become “In the money” but I would rather transfer around 48 than at 46 – it translates to gains of around 5%. The SGD strengthened to 1.4150 against USD overnight and that has pushed SGD INR to 48.02 mark. I am expecting INR to strengthen when the Indian markets open around 11:30 am Singapore time. If you are looking to transfer money today then the next 2 hours is a good time using DBS Remit. The offered rate is 47.57 and is expected to fall down once the Indian markets open. Disclaimer: These are my views and not investment/financial advice. I bear no responsibility for any decisions made by readers. SGD INR stuck in a range? Its been a few months since I wrote about the pair as most of the discussions were in comments to previous posts, but today’s MAS decision warranted a new post. 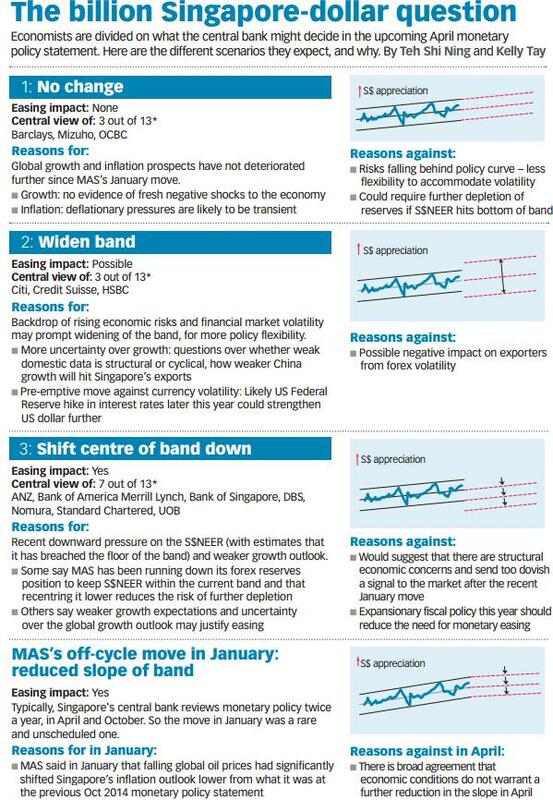 There were ripe speculations that MAS is going to ease the monetary policy (which it did) and Singapore is headed for a technical recession. The economy expanded by a modest 0.1% much against the consensus of a contraction of 0.1%. The immediate impact on the exchange rate was a modest gain from 1.4025 overnight to 1.3960 as I write. The expectations of a USD rate increase this year are negligible. I would be surprised if the Fed raised the rates in Dec when the volumes are thin due to holiday season. My personal view is that it was a missed opportunity in Sep and Fed should have increased the rates but that’s a different topic of discussion. 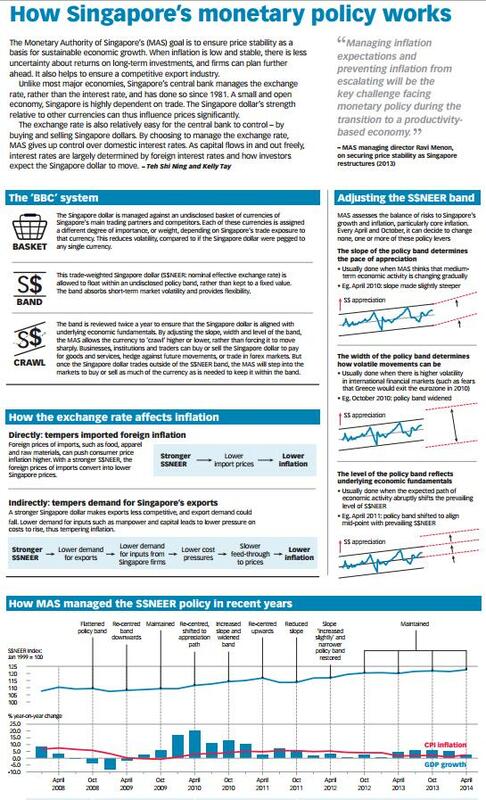 MAS will continue with the policy of a modest and gradual appreciation of the Singapore Dollar Nominal Effective Exchange Rate (S$NEER) policy band. However, the rate of appreciation will be reduced slightly. There will be no change to the width of the policy band and the level at which it is centered, saying it would seek to slow the pace of the local dollar’s gains versus its trading partners. Both Malaysia and Indonesia are key trading partners for Singapore and a greater than 5% jump in their currencies diluted any chance of SGD depreciation. The intent of MAS Is clear – it wants SGD to be slightly stronger than its trading partners. Now if one looks at INR it appreciated very quickly in after the US job reports from the comfort that no fed hike is on the cards. It was good news for FII’s who can pump money in Indian Bonds and earn good interest rate. Many mistake this as FII investment in India because if one looks at the economic indicators they don’t look very good – be it industrial production. agriculture produce or job growth. I have said this many times and would repeat again – the sooner INR falls towards 70 the better it is for India. The Indian exports are declining due to competition from other countries with weaker currencies and the day fed hikes the interest rate INR could dip 2-3% overnight and that is not a pleasant shock for the economy. Anyway for now no major events are scheduled in the coming months other that the results of the BIHAR elections. I believe irrespective of the outcome the Rupee is scheduled to fall post-election results. If BJP wins there would be a knee jerk appreciation which will fizzle out as the economic data and realities will take center stage. If BJP looses then Rupee would immediately fall from a sentiment perspective. So for the next few weeks I expect SGD INR to be range bound between 46-48. With the jump in SGD INR the question of what is the best way to transfer money to India becomes important and has been asked a few times. My conclusion before today’s analysis was that DBS remit gives the best rates with the smoothest transaction experience. However in such a competitive market innovations and better pricing is expected and ICICI Bank with its new offering beats competition by a mile. As you can see for amounts 5000 SGD or more money2india had a substantially better rate than the competition and that happens because they have started charging 25SGD flat fee and reduced currency spreads. The rate money2india used was 47.66 and the results above are shows after taking the 25sgd fee and service charges into account. 1. Only allows upto 400,000 Rs equivalent to be transferred per day using the fixed rate service. I would have expected that there be no limit on amounts being transferred. With these limits it feels that money2india wants to only have small transactions so that they can earn more transfer fee. The rate still is better than DBS but as a customer I find these limits back door way of giving less to customers. As expected, MAS held off any more easing as the GDP numbers were better than expected, SGD quickly jumped back to below 1.36 and I expect it to go below 1.35 in days to come. There are 2 very interesting and informative info graphics that were published in Business Times on 12th and 13th April that I am sharing with every one who are interested to know how does NEER work and monetary policy is administered. RBI Cuts Benchmark Rates – Now What? The much talked about interest rate cut finally happened today. RBI Governor keeping true to his character surprised the markets with an earlier than expected cut taking India on a path different from Russia and Brazil where central banks have increased the benchmark rates in the past few weeks. I must say it’s a brilliant move by the Governor to put the ball back into Finance Ministers court and push for structural fiscal reforms in the upcoming budget. The general sentiment has been that the higher rates are keeping India from growing which overshadows the fundamental issues of red tape, poor infrastructure and wastage in public expenditure. The sustained fall in oil prices (thank Russia for occupying Crimea) has given India the much-needed window to push through reforms without being worried about stroking uncontrolled inflation. The question is that will this rate cut and structural reforms be enough to achieve the targeted growth? No, absolutely not. The other key factor, which should not be ignored, is the exchange rate of the rupee against other currencies. To recap the last year – Rupee has oscillated between 58 and 63.5 against the US dollar (I use USD as a benchmark because the other rates are nothing but a cross rate). The fall in rupee has been less pronounced as compared to its Asian peers like the Malaysian Ringgit, Indonesian Rupiah, Singapore Dollar, Korean Won etc. On the global front, the Yen, Euro and Pound have also dropped sharply against the USD resulting in net gains by the Rupee against these currencies as well. While the gains in Rupee boost the feel good factor about the India story – is a sustained gain in Rupee the right thing for the Indian economy? My take is that RBI would not let Rupee gain beyond the 62 mark to keep the exports competitive. There was evidence of this when RBI was seen buying dollars in the last week when Rupee gained sharply. With a generally weaker Rupiah, Ringgit, Peso and Riel the Indian exports would face tough competition in areas like garments, IT services, food grains and other manufacturing. Also with Euro and Pound weakening the demand from European countries would decline if the goods are not priced competitively. With crude oil staying below 50, I think RBI would target the Rupee around 65 against the USD (at-least that’s would I would do, if I were the RBI governor). That would be a roughly 5% decline from the current levels and will bring it at par with other countries with export competitiveness. A sharp gain in the currency would negate any benefit that the lower oil prices would have and I don’t think the RBI or the finance minister would want that. We should not forget that infrastructure reforms do not happen overnight and take years to fully have the desired impact. What would that do to SGD INR – 45 mark would remain as the strong support for the pair with upside of Rs.50, but of-course remitting money to India and investing in NRE deposits would always remain a good option.